My second Dan Brown book! 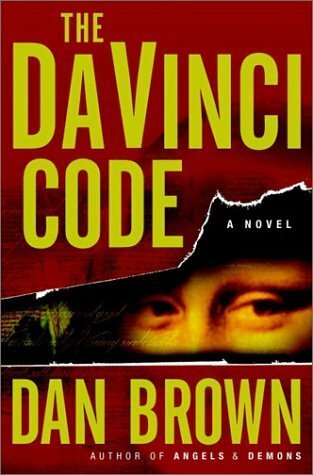 I finished Inferno not so long ago, and I was immediately entranced by his writing, so I decided to read one of his most famous books: The Da Vinci Code. Luckily for me, I haven't yet watched the movie, so I was able to enjoy the book spoiler-free. From the first page onwards, I was already immersed in the book. First chapter already has four murders (three of which are mentioned) so you can see that I was very interested already. The mystery begins straight away, but it isn't like the typical murder mysteries that you read - less of the whodunnit questions, but more of whydidhedielikethis. Before dying, we learn that the victim purposely forced himself into a weird position, leaving clues for Robert and Sophie, the granddaughter of the victim, to solve. I sense one recurring theme so far: the fact that Robert is always being chased by the police and he usually as no idea what is going on. Sophie seems to grasp things a lot quicker. But the two of them are a good team, one symbologist and one cryptanalyst. What doesn't stump them? They begin as acquaintances, but their relationship builds steadily into a friendship, maybe even more as hinted in the last chapter ;) *Spoiler alert* But I've read Inferno to know that doesn't happen :( *Spoiler over* Although I do admit they didn't solve the mystery all by themselves. I loved the mystery and how it incorporates history. I wonder if there are really many hidden symbols in all of Da Vinci's works and if the Church really did wipe out all of the pagan religion (though I don't doubt they did). Most of this does seem like a conspiracy theory, but it works for the book. I did not see the major plot twist coming! So many betrayals, so many things aren't what they seem to be. I wouldn't have guessed who the Teacher was, so I was really shocked when I found out who was behind this all. The person who I thought was orchestrating this was actually a pawn in the game. This is one of the few Adult Fiction books I've read, and I enjoyed it very much. I most definitely will read the other books in this series!